“Flash Points: The Emerging Crisis in Europe,” by George Friedman, published 2015. “Lights Out: A Cyberattack, A Nation Unprepared, Surviving the Aftermath,” by Ted Koppel, published 2015. “This Changes Everything: Capitalism Vs. 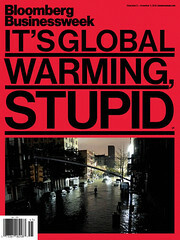 The Climate,” by Naomi Klein, which was included in the New York Times Book Review list of 100 Notable Books of 2014. Seventy degrees in December! It’s not unheard of in Maryland, although normal temps would be in the 40s during the day, maybe 30s at night. But throughout the northern U.S.? Seventy degrees in December in Chicago? Temperature records are being broken in some places. Winter’s off to a mild start. (Reality check: Don’t get too excited. Winter doesn’t officially begin until Dec. 21.) I’m trying not to be complacent. A blizzard might slap us in the face when we least expect it. December is always a variable month here in Maryland. We rarely get snow before Christmas. But we don’t often enjoy 70 degrees, either. The photo above was taken a few days ago at the south end of the Ocean City boardwalk. Too bad there’s not many people here to enjoy it, except us year-rounders. Seventy in December. Global warming? You think? Fair enough. Quibble about the causes and terminology, if you must, but face reality. What do you think? Suggestions for additional subjects to include in the syllabus? Extra credit for class participation.